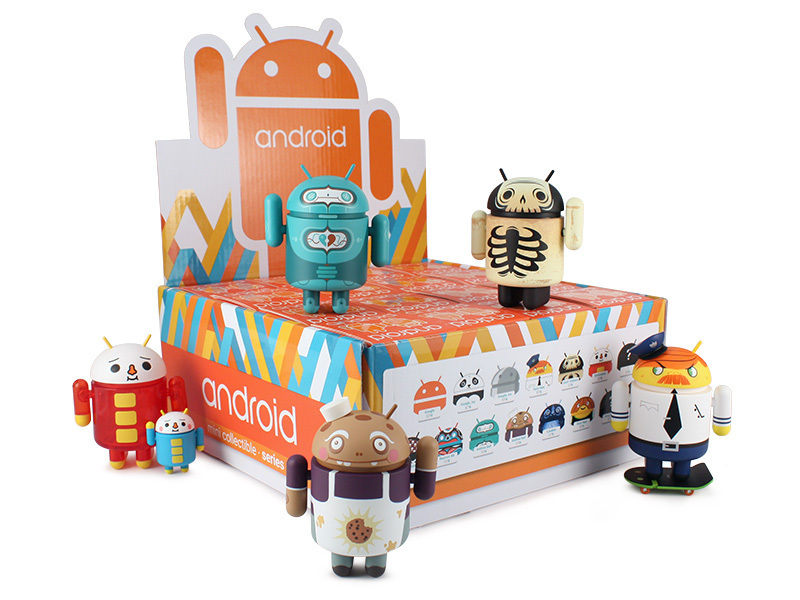 2015 has brought Android fans a new surprise with the release of the 5th Android Mini Collectible blind box series! The previous series released in late 2013, and the newest series doesn’t disappoint, bringing 16 new designs from artists like Andrew Bell, Jon Paul Kaiser, Devilrobots, and more. Android fans will be glad to hear that this brand-new set of 3″ Android collectibles is available now at TOMODACHI! Check out either of our in-store locations at the Rosedale Shopping Center or the Mall of America to get your hands on some cool new Android merchandise!